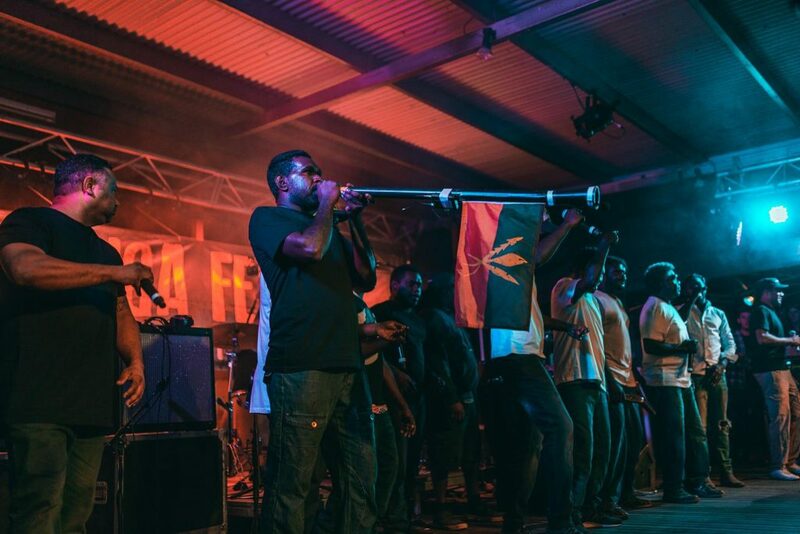 If ‘Smoking Ceremony’ is anything to go by, 2019 will be massive for Skinnyfish Sound System, a collective of musicians from all over Australia. Producers B2M, Birdz and Tasman Keith have collaborated under the Skinnyfish umbrella to offer Australia a new way of embracing Indigenous culture. The three performers have made their mark individually but the collective offers an outlet for them to create and experiment outside of their solo material. The result is gorgeous interplay between eras, generations and tradition. Tasman Keith and Birdz flow effortlessly over some sharp production from Papertoy and J. Mangohig which is further reinforced by the Tiwi chant initially recorded as part of B2M’s theatre show, Mamanta. It’s moody yet uplifting and goes hard on the beat all at the same time. Check it out for yourself by switching to 4ZZZ in Brisbane, Radio Adelaide in SA and Sydney’s FBi Radio. Here come Melbourne’s Shrimpwitch with a clear message to all the creeps on their latest banger ‘Leerers’. 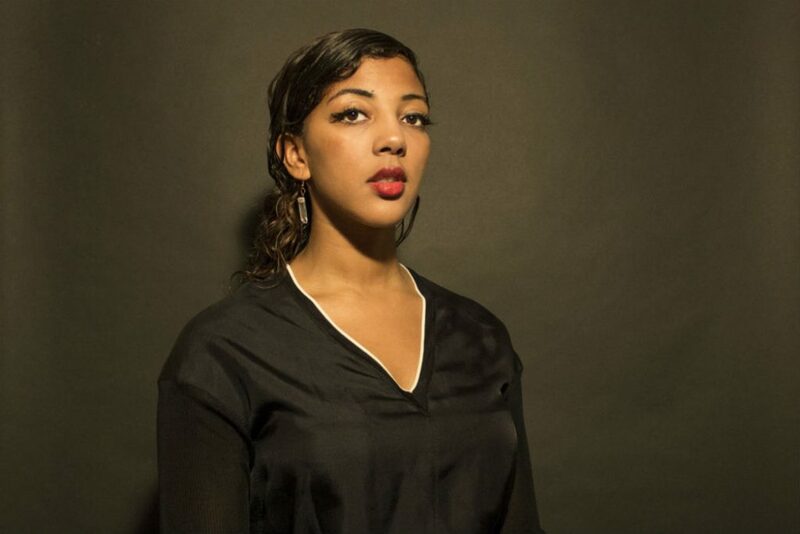 The track itself is loud and fast, and a self-referential take on being both a performer and a woman. “I’m not here for you to leer..” is the lyric taking hold as a perfect surf-punk hook and breaks down the fourth wall of live performance. The Melbourne duo are renowned for their insane and energetic live shows, constantly challenging the notion of their craft by including jokes, banter, costumes and plenty of attitude. 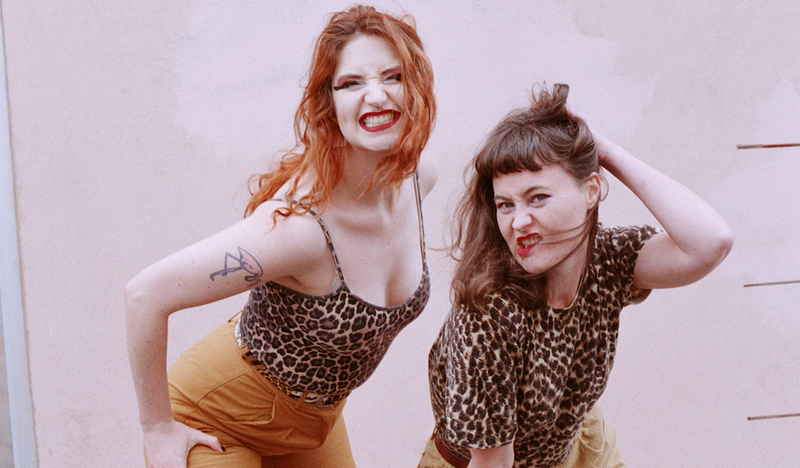 Dive in and join the duo comprising Kim Prawn and Georgi Goonsack as they continue to soak the airwaves with their self-described brand of ‘venereal garage rock’. RTR FM in Perth, Upwey’s 3MDR in Victoria and 2GLF FM in Sydney’s West are all swimming along to Shrimpwitch in 2019. Sneaking into our hearts just before the Christmas break, Melbourne producer Bussauto delivered this dizzying production for vocalist Felish to glide over on what’s their second collaboration. ‘Lost Momentum’ maintains some serious ice cool while delivering a thrilling, tight excursion in house injected with Felish’s cooing but powerful vocal. Their pairing developed after Felish sent a recording by phone of herself singing to a Bussauto track – proving technology can lead to very soulful experiences. We can’t wait for more from the two together and community radio is all over ‘Lost Momentum’ well into the new year, with BBB in Bellingen, NSW along with Noosa FM just two stations giving ‘Lost Momentum’ great airtime. We know it’s early in the year, but 208L Containers may have already won best film clip of 2019. 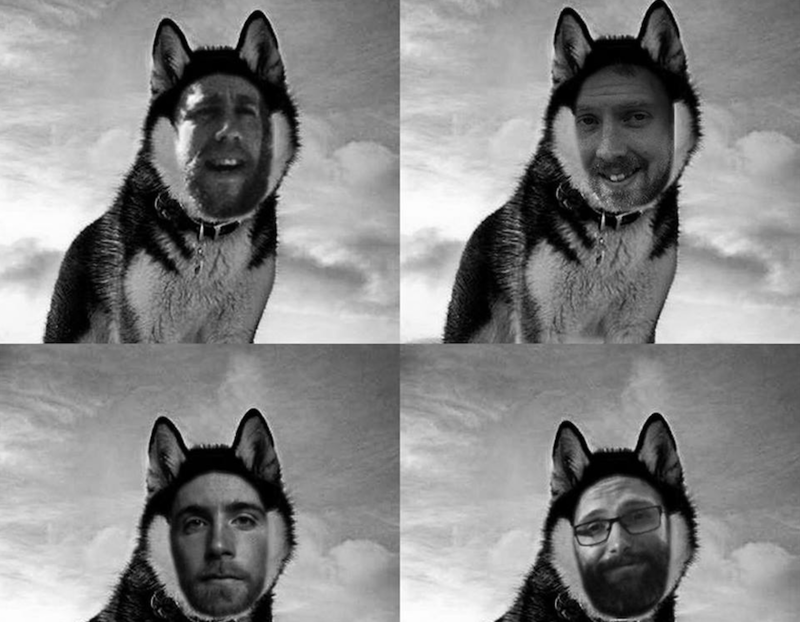 ‘Feral Cats in the Tasmanian North East’ crams hooks and seemingly banal conversations between crusty bass riffs and high energy punk to deliver something absurdly poetic, but there’s no need for anyone to overthink it. Bob Dylan’s Nobel Prize for Service to Literature award speech is mentioned in one moment and a magpie pecking at a Cheezel near the roundabout on Montague Street the next. Meanwhile, the associated visuals showcase dance moves of an unnamed, mullet sporting young man in a parking lot. It’s really something you have to witness for yourself. Whatever’s going on has grabbed the attention of community radio including Yass FM in NSW, Radio Adelaide in SA and Brisbane’s 4ZZZ. Equally influenced by lo-fi garage rock, post-punk and new wave, Perth duo Mosquito Coast have kicked off early in 2019 with a new single, ‘Sweet Talking’. It could well have been called ‘Tough Talking’, such is the no mess approach the pair take on to match the song’s straight-up demand for right-on love and not accepting anything less. This one moves with searing, infectious energy and takes no time at all to settle in and get the point across. 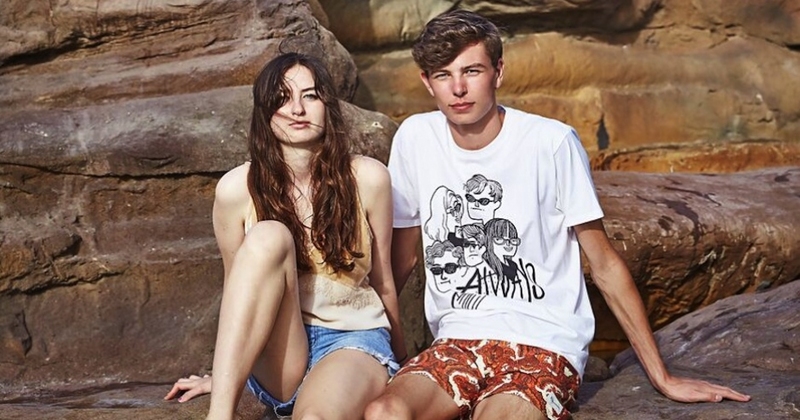 After winning a WAM award back in 2016 for Most Popular Act while they were still in their teens, Mosquito Coast are now making their twenties count with a new album anticipated for release in the first few months of the new year. They’re playing various states through February and March and getting loads of community radio support from Perth to Sydney, including 6RTR FM, 5GTR in South Australia and more.